February 19th 2019 was the day the world of fashion stood still: the Internet was flooded with pictures of the recently passed Karl Lagerfeld. They all had a bitter caption, expressing the poster’s sorrow for the death of this very influential man. He had perished from pancreatic cancer. Having worked for Fendi, Chloé, Chanel, Jean Patou and his self-entitled label, the elderly cat loving designer has established a name for himself in the world of fashion thanks to his designs and multitasking abilities, not to forget his blunt way of expressing his feelings (basically hating almost anything). Yet, the whole world accepts Mr. Lagerfeld as a “visionary” and a “brilliant man” in spite of his insults, completely focusing on his work and words. 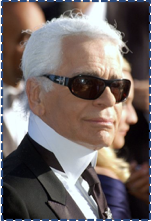 Karl’s story began on September 10th 1933 in Hamburg, Germany. He moved, aged 14, to Paris, seeing that he had bigger chances by being elsewhere than his hometown of Hamburg. Shortly after, he submitted several sketches and fabric samples to the IWS (International Wool Secretariat), winning a competition. Then he met another winner, late designer Yves Saint Laurent. Not long after winning the competition he was hired by Pierre Balmain as his assistant, becoming his apprentice in a short matter of time. His job there lasted for three years, after that he went on working with Jean Patou until 1964, when he moved to Rome to study art history and having the intention of working for Tiziano. He managed to also design freelance for labels such as Chloé, Charles Jourdan, Krizia, and Valentino. At that time he was working for 5 different companies. An important moment in his career was 1967, when Fendi hired him to modernize their fur line, thus starting his job there which lasted until his passing. It was him who introduced the furs of animals like moles, rabbits and squirrels in high fashion. ready-to-wear collection, cementing Chanel’s status as a legendary fashion brand in this world. He also introduced the eponymous interlocking-C-logo, which the brand sports even to this date. A particularly memorable moment was in 1994, when he designed the spring/summer collection with inspiration from hip hop fashion, including crop tops, suspenders, baggy pants and many more. It was also definitely him who managed to bring more flexibility and shape to the already iconic boucle tweed suit, invented by Coco Chanel herself. Two years later, Karl Lagerfeld came into this world. 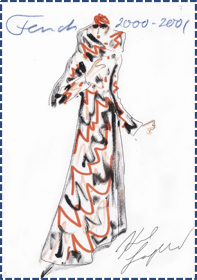 The designer had decided to establish his own label and put his hard work into his own label as well, after decades of working for other companies. He sold the label to Tommy Hilfiger in 2005. Around 2000, Karl Lagerfeld went on a diet, which led to the writing of his book Diet, since he managed to lose 100 pounds (~45 kg) in 13 months! He cited his wish to wear Dior Homme by Hedi Slimane tuxedos as the reason for the weight loss. 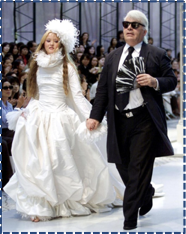 In the later 90s and early 00s, Karl Lagerfeld became a household name, having so many different names of fashion labels in his resumé and having worked with many people, from Diesel’s Renzo Rosso to supermodel Cara Delevingne. His usual look was composed of his hair in a ponytail, big sunglasses, fingerless gloves and a blazer to name few items. 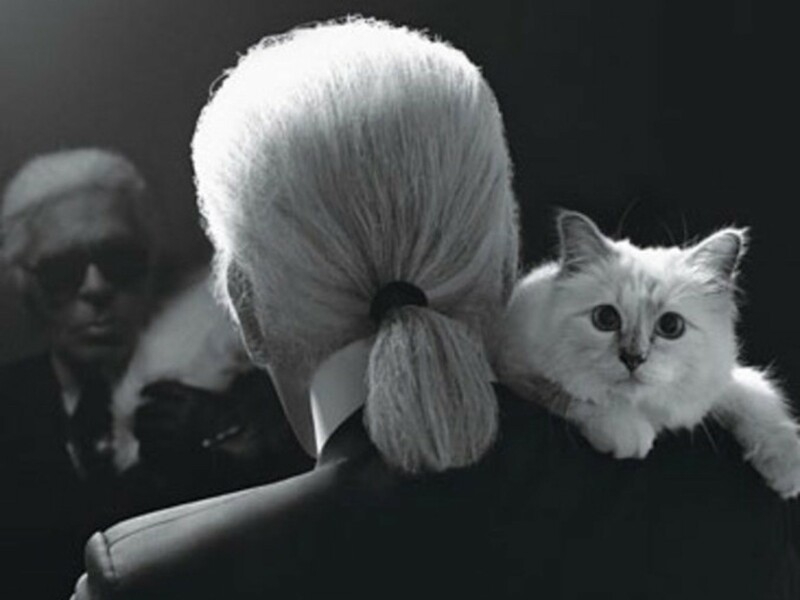 Mr. Lagerfeld is survived by his red point Birman cat Choupette, who was his inspiration in many of his label’s collections and who received his circa $300 Million fortune, as he wished. As for Chanel, Virginie Viard, Mr. Lagerfeld’s longtime design collaborator, will take his place.